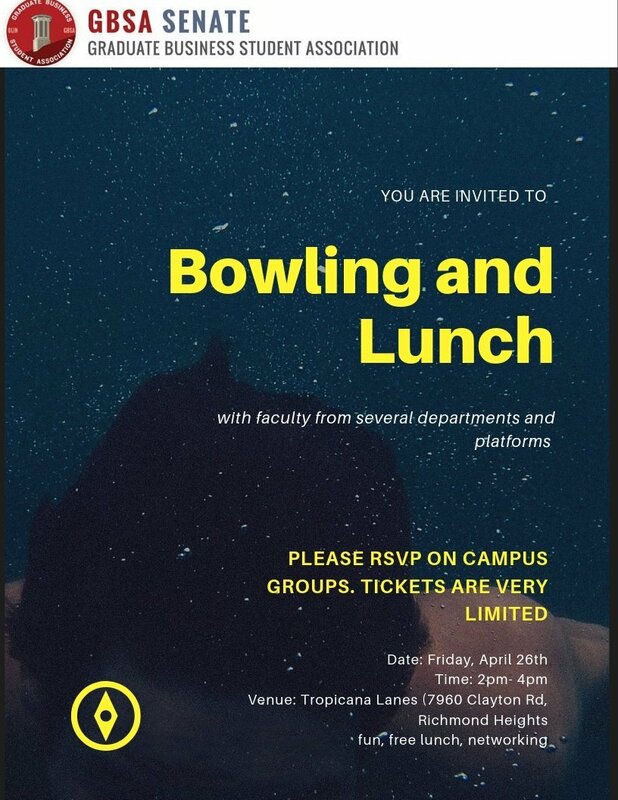 GBSA Senate is excited to host an exciting afternoon of bowling, lunch, and networking with classmates and faculty! Our goal is to deepen engagement and foster closer interaction between faculty and students. We heard your voice in our December Survey! You want more opportunities to interact with faculty outside of the classroom. Please join in this exciting event! Faculty will include representatives from many departments and core & elective classes! Please bring socks. We are trying to open additional spots so PLEASE ADD YOURSELF TO THE WAITLIST (if the event is full)!